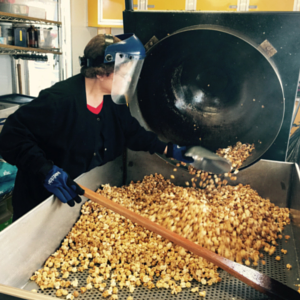 For the BEST kettle corn around, you've got to have Aunt Susie's fresh-popped gourmet kettle corn! 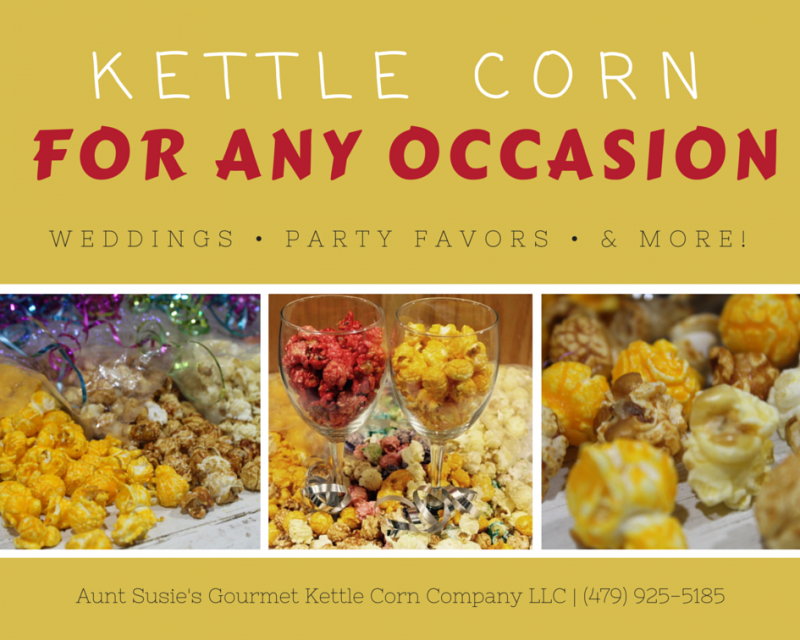 Made in a 160-quart kettle on-site before your eyes, Aunt Susie's Gourmet Kettle Corn Company LLC creates a variety of fresh popped kettle corn. With a range of flavor assortments to choose from, we offer free samples so you can find your favorite! Want to try some delicious kettle corn? You can find us throughout Northwest Arkansas at craft fairs, festivals, and more in our yellow mobile trailer! Check out our 'Events & Fundraising' page to see where we'll be next! Looking for a new fundraiser idea or party favor? Look no further! We can create whatever you'd like for your upcoming party or event.